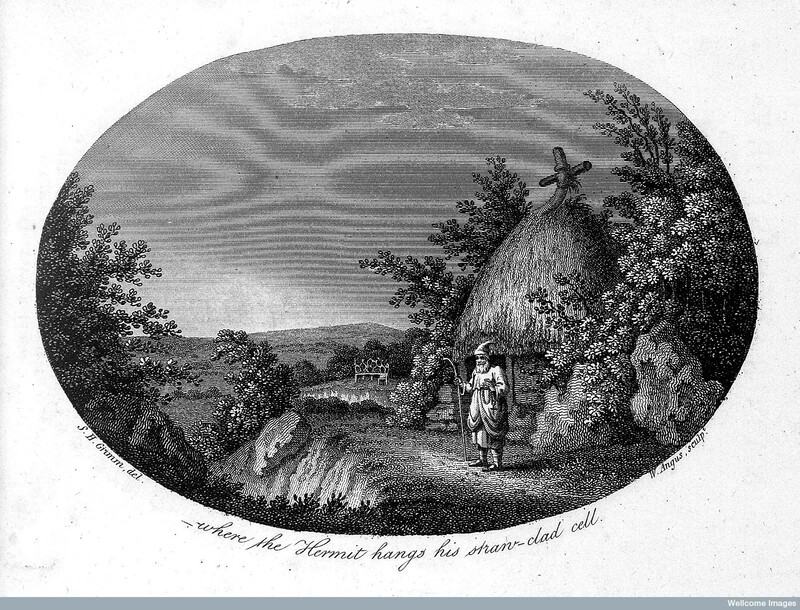 ‘Where the hermit hangs his straw-clad cell‘. Front piece from Gilbert White’s ‘Natural History of Selborne‘, first published in 1789. White was one of a number of writers who described ‘the peculiar haze or smoky fog that prevailed .. in every part of Europe’ in the summer of 1783, following the eruption of Laki in Iceland. Image L0018513, Wellcome Library, London. In Island on Fire, Alexandra Witze and Jeff Kanipe take the reader on a dramatic tour of volcanic eruptions, death and destruction. At its heart is the story of the great 1783-1784 Laki fissure eruption, one of the most significant historical eruptions of Iceland, which belched 120 million tonnes of sulphur dioxide into the atmosphere, and fifteen cubic kilometres of lava across southern Iceland in the space of nine awful months. Using Laki as the hook, the authors weave together first-hand accounts of the eruption and its many consequences, both locally and across the western world, with wider discussion of the present-day research on Laki and other eruptions. The tale begins in Heimay, Iceland, in 1973, and the extraordinary example of a small eruption that literally reshaped an island community. The reader is then taken on a quick-fire tour of supervolcanoes; of classic eruptions and their human consequences, including Vesuvius, Tambora and Krakatau; to an exploration of some of the awful consequences of volcanic and evironmental crises in the 20th Century – from the tragedy of Lake Nyos and its carbonated lake, to the great smogs of 1950’s London. The result is a compelling and readable account that is readily accessible and illuminating, and provides some fascinating examples of the intersections between volcanoes, humans and society. Island on Fire succeeds as a ‘popular science’ text, covering complex aspects of science with a light touch, and without getting bogged down in detail. At the same time, the endnotes provide ample routes into the current literature for the inquisitive reader, and this will make it a useful source book for students of geography, Earth and environmental science. ‘An amazing and portentous summer..’ is a slight misquotation from Gilbert White’s diary, first published in 1789. Alexandra Witze kindly sent me a pre-publication copy of Island on Fire. 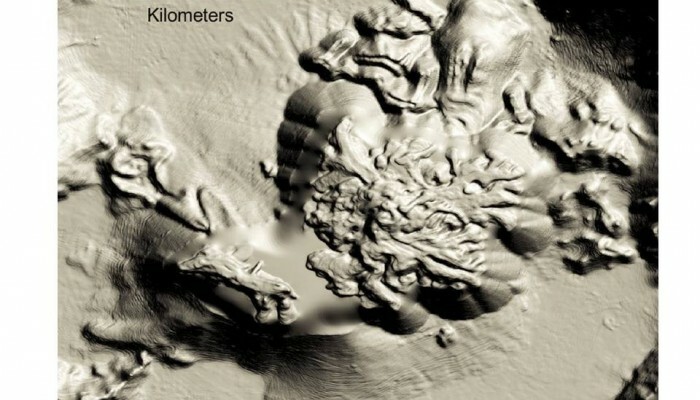 Surface morphology of the Kameni islands, Santorini, Greece, based on new submarine and surface mapping, published by Nomikou et al. (2014). A new paper, published in the journal GeoResJ, reveals the intricate details of the volcanic Kameni islands that lie in the flooded caldera of Santorini, Greece. The Kameni islands started growing shortly after the explosive eruption that formed much of the present day caldera. For the past 3500 years or so these islands have grown in pulses, with each new eruption adding more material to the edifice. In this new paper, we have brought together high-resolution imagery of the seafloor with a digital elevation model of the parts of the islands that emerge above sealevel, and have used this to reconstruct the piecemeal growth of these islands from an analysis of their surface shape. Much more remains to be done, but the fascinating part of the work for me was the dawning recognition of just how little we know about the lifecycle of submarine volcanoes, and how much of the volcanic history of Santorini remains underwater, and essentially untouched. 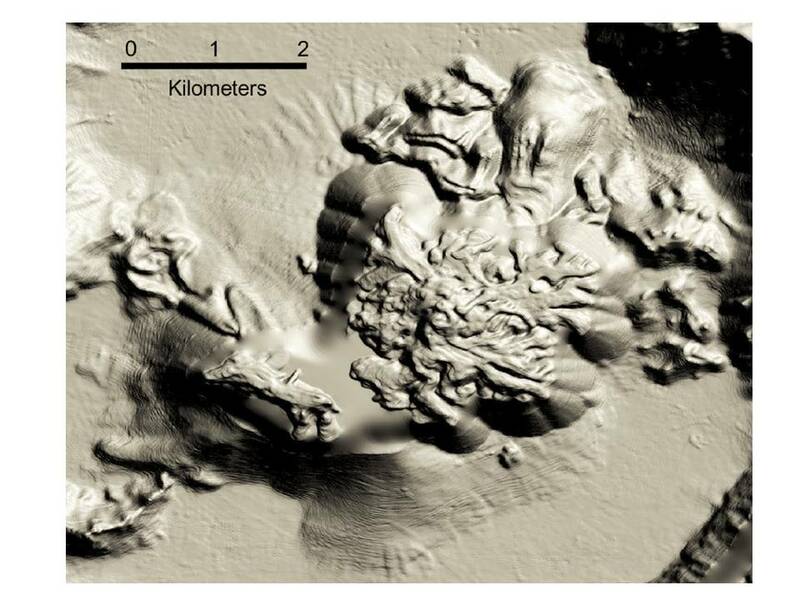 Interpretation of the growth of the Kameni islands, Santorini, Greece, over the past 2000 years. 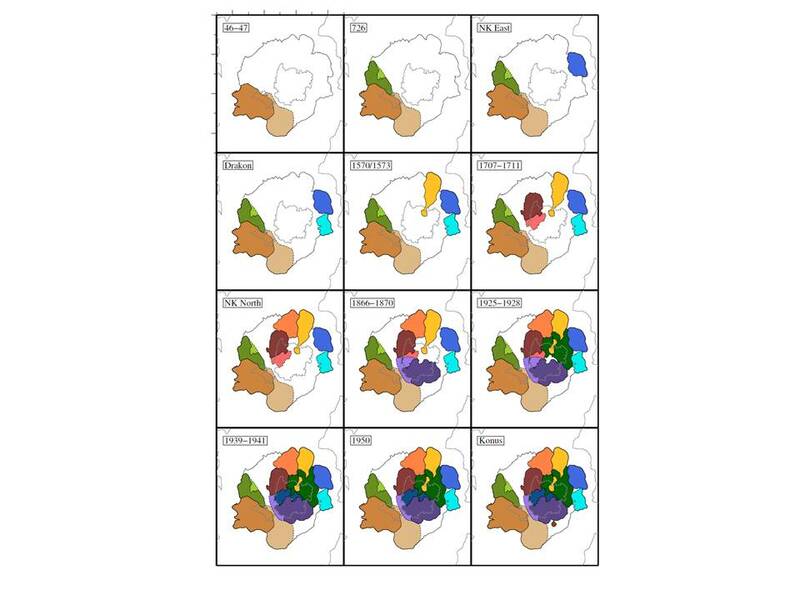 From Nomikou et al., 2014 (Supplementary dataset 2). Funding for this project came from agencies in Greece, the United Kingdom and the United States. Submarine multibeam data were collected from R/V AEGAEO, of the Hellenic Centre for Marine Research (HCMR), in 2001 and 2006, with support from the National Science Foundation. Onshore data were collected during a Natural Environment Research Council Airborne Remote Sensing Facility (ARSF) campaign to the eastern Mediterranean in May 2012, with additional support from the National Centre for Earth Observation (NCEO) and COMET.